Hela Jelassi wanted to help social entrepreneurs and startups in Tunisia to find investors and grow their business. In 2015, she co-founded Alternative Business Consulting – the first impact advisory firm in Tunisia focusing mainly on young and female entrepreneurs. Hela Jelassi started off as an investment manager at an investment fund in Tunisia. After a few years, she had seen so many great projects that couldn’t raise investments since the entrepreneurs didn’t have the skills to sell in their business models. – I was reading a lot of business plans and investment proposals during my years as an investment manager. It made me realize that many Tunisian entrepreneurs lacked skills to sell in their projects. I saw numerous of good project getting rejected by the investment committee because they didn’t know how to present themselves, says Hela Jelassi. As an effect, many job opportunities that could have been created in the marginalized areas of Tunisia failed to materialize. – That is one of the reasons why I wanted to help these entrepreneurs to get better selling skills and have the ability to present their ideas and find investors. At the age of 28, Hela Jelassi co-founded the first impact advisory firm in Tunisia, focusing on empowering Tunisian entrepreneurs. With the advisory firm, she wanted to enhance employability and include women and young people in marginalized regions. Her aim was to reduce regional disparities in Tunisia. – I believe that social entrepreneurship is a way to solve social problems sustainably,” Hela Jelassi says. I really wanted to make a difference in these regions. Today her firm helps entrepreneurs during the preparation of their fundraising process and the implementation of their development strategies. She describes it as a long-time partnership, rather than the normal advisor-client relation. The business has grown into having a team of five investment advisers, where most of them are freshly graduated. – We decided to hire fresh graduated because we wanted to invest in Tunisian Youth and train them into becoming good, skillful advisers. After 2–3 years they can become our subcontractors which makes it possible for them to be independent and self-employed. I believe it is a unique business mindset that will unleash the untapped potential of our team members. For Hela it has always been essential to run a business focusing on social entrepreneurship, making a difference for entrepreneurs in Tunisia. 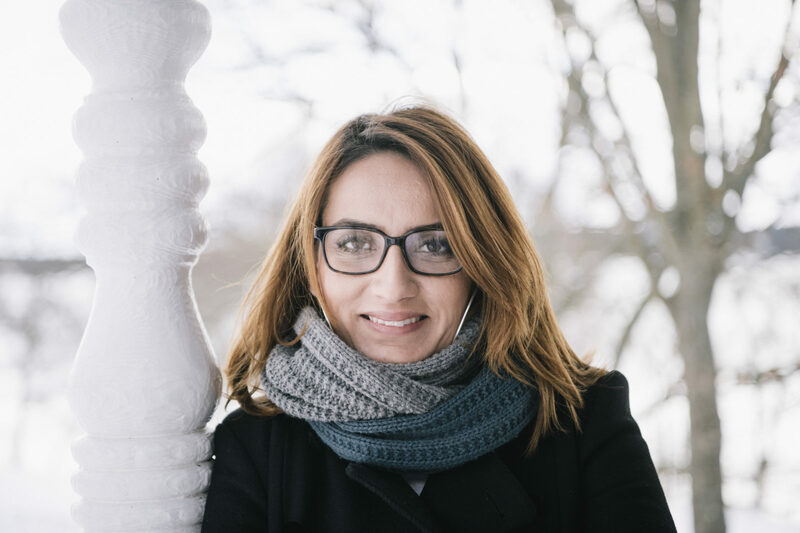 – As a social entrepreneur, I believe in creating innovative services that will contribute to increasing the employment of Tunisian women and youth, promoting a more equitable society and reducing regional disparities in Tunisia. Being a social entrepreneur in Tunisia is challenging, but great. It has been a wonderful journey so far. This year she is one of the participants in the She Entrepreneurs-program provided by the Swedish Institute. She thinks it’s been both challenging and developing for her business to be part of the program. – I’ve learned a lot, both on the business side and on a more personal level. The mentorship has been really helpful too. For someone trying to find investment, it’s important to work on your personal development. An investor doesn’t invest in the project as much as they invest in the person running it. – I want my company to be one of the main actors in the MENA region. It is definitely our goal to expand the business so that we can help even more social entrepreneurs.